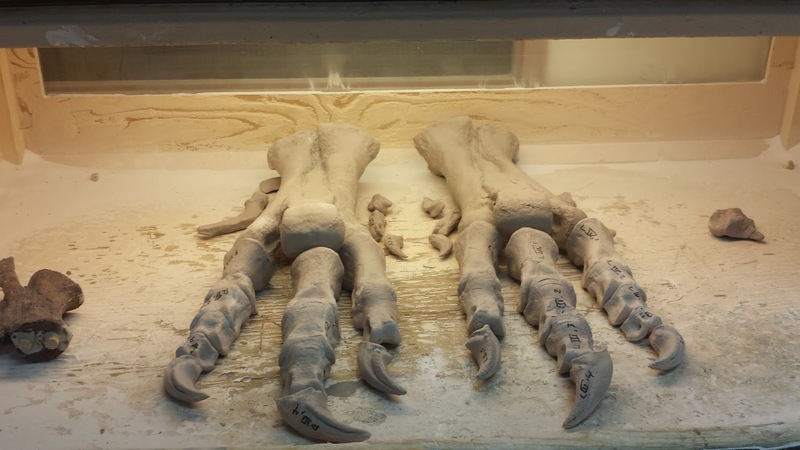 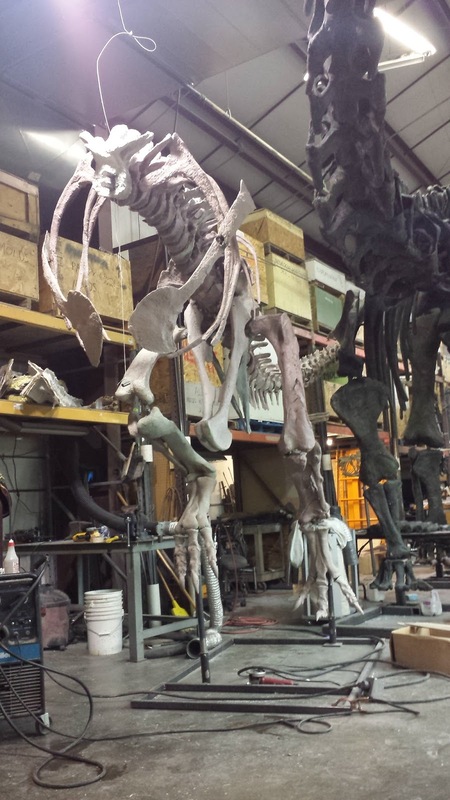 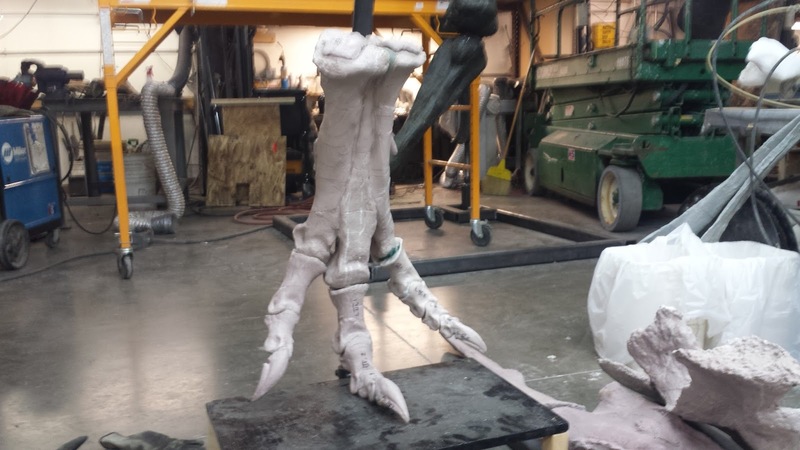 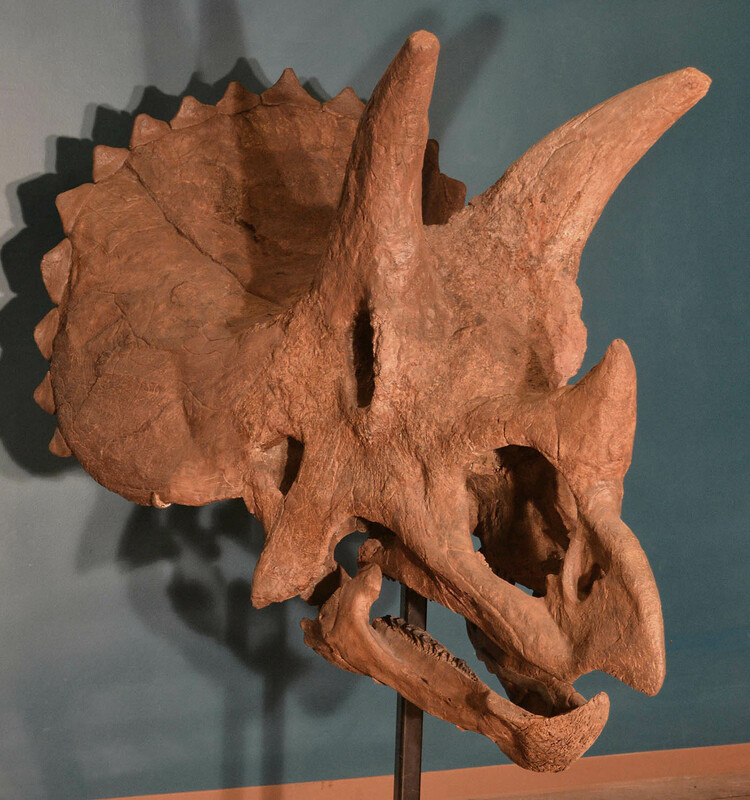 There is actually a very good reason why I haven't updated this blog in a while: We've been up to our armpits in the lab building the prototype cast copy of Pete III, our 11m Daspletosaurus. Progress is going quick by Academic standards, and we hope to finish the cast by early May. Jacob and I called "dibs" on making this skeleton, since we've been working on the project for 10 years. 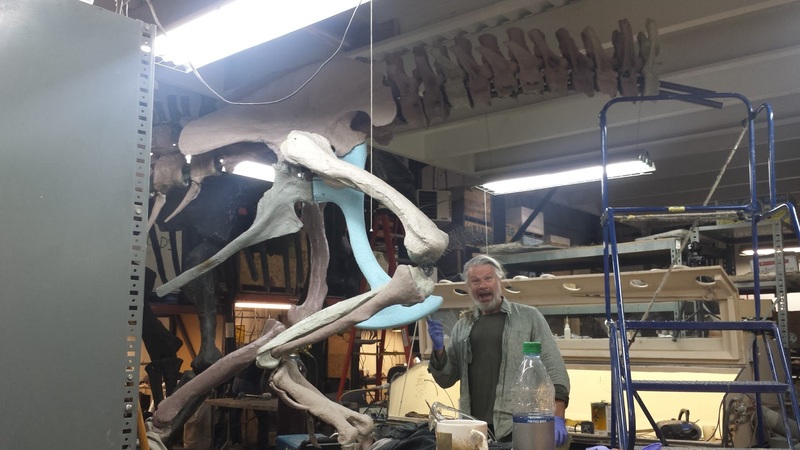 Plus everyone loves a huge tyrannosaur, especially one way more rare than T. rex. 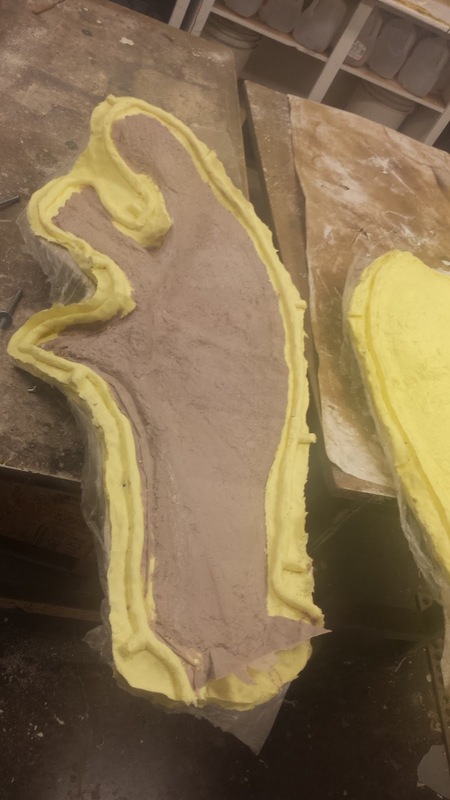 Stay tuned for some more exciting progress really soon. We're finishing the neck, working out the gastral basket and have a few cervical ribs to go.